The Karner blue butterfly (Lycaeides melissa samuelis) is a small butterfly with a wing span of approximately one inch. On the upper surface of the male all four wings are a deep violet-blue fringed with white. On the female the upper surface is a dusky brownish blue with orange spots on the edge. The butterfly’s annual life cycle is inextricably tied to that of the wild blue lupine (Lupinus perennis). Adult Karner blues feed on the nectar of flowering plants, but the caterpillars of the Karner blue feed only on the leaves of the wild lupine. The Karner blue butterfly was Federally listed as an endangered species in 1992. It is experiencing a decline primarily due to human activities such as agriculture, urbanization and fire suppression, which degrade the habitat of the wild lupin. 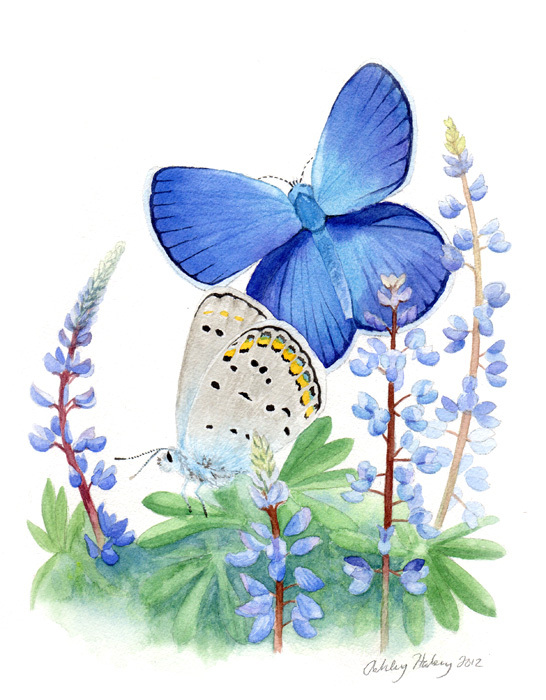 Federal recovery plans for the Karner blue butterfly include protection and management of wild lupine habitat.